If you were commuting home Monday evening or stuck in school or the office in the States, you missed a real explosion of 6 p.m. UK FUT content. Following the trend so far in FIFA 19, the live content team dropped November's FUT Swap Deals, as largely expected, but followed up Friday's Serie A and A-League SBCs with two more, this time Major League Soccer and Portugal's Liga NOS. 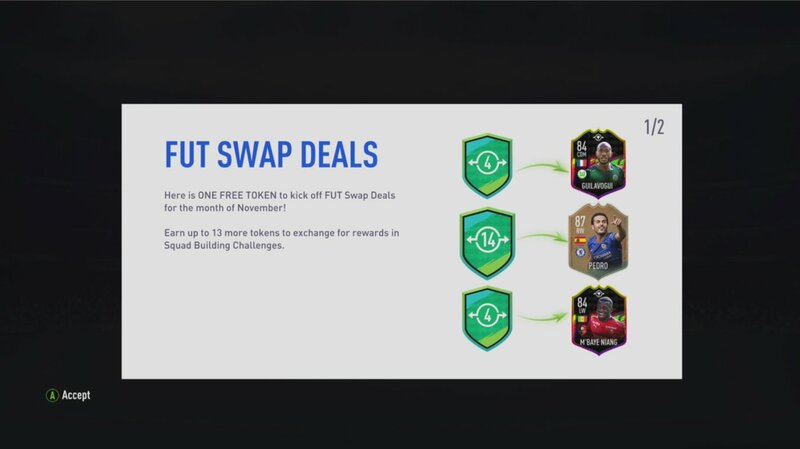 FUT Swap Deals, if you missed or didn't understand last month's promo, is a now monthly scavenger hunt of sorts where you collect untradeable player items that you can use in time-limited SBCs to exchange for pack or player prizes. 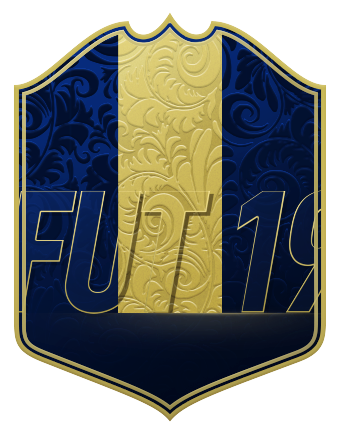 You'll want to check the game every day, because once a new SBC or Daily/Weekly Objective or Squad Battle rank requirement that gives away one of 14 possible tokens necessary to do them is gone, they're gone for good. This month's top prize comes in the form of a 87-overall Flashback Pedro. While the Flashback player items in FUT 19 had previously only come via SBC, this FUT Swap Deals reward gives September POTM Lucas a real battle for the title of best Premier League right mid. He requires all 14 of this month's player item tokens, however, so it'll take some grind (and coins) for sure. For half that many tokens, you can opt for an 84-overall Michail Antonio. The striker looks to dial into some of the same mojo that made him an early FUT 18 darling, but doesn't quite have the pop that Pedro does. Definitely an appetizing option for some though, surely. In what was the talk of Twitter, a well-rated 84-overall Joshua Guilavogui can also be had. If you run a Bundesliga team, he looks to be a potentially cheap-but-powerful addition to the midfield for you. The most exciting part is he only requires four FUT Swap Deals player tokens. And in a hat tip to French league fans and Hybrid builders, there's also an 84-overall M'Baye Niang. The Pace and Shooting stats look promising, but the league and nation makes him a tall proposition for most. He costs just four tokens as well. If that wasn't enough FIFA content news, as mentioned there's now an MLS and Liga NOS League SBC available to being. Unlike FUT Swap Deals, these will be available until the end of this year's game. If you haven't done a League SBC, this years are repeatable (up to two times) and offer the choice of two different untradeable player prizes (along with plenty of packs along the way). For MLS, you've got two pretty nice looking possibilities in D.C. United's Wayne Rooney, or Montreal Impact's Nacho Piatti. Liga NOS' are pretty decent in their own right, offering the choice between Benfica's Eduardo Salvio or Porto's Hector Herrera. You can check out all the League SBCs available in the game so far in Futhead's SBC section. Whew. That's as much FIFA content in one dropping as we can remember in some time.  What has you the most hyped?